Home » OMA News » We’ve Moved! OMA CENTER FOR MIND, BODY & SPIRIT HAS MOVED TO A NEW LOCATION! We will now be holding our events at The Twentieth Century Club, conveniently located in the heart of Oakland at 4201 Bigelow Boulevard. Easily accessible from all directions and major roads by car or bus, free on-street parking is available after 6:00 p.m. and there are two parking garages within a block of the venue. 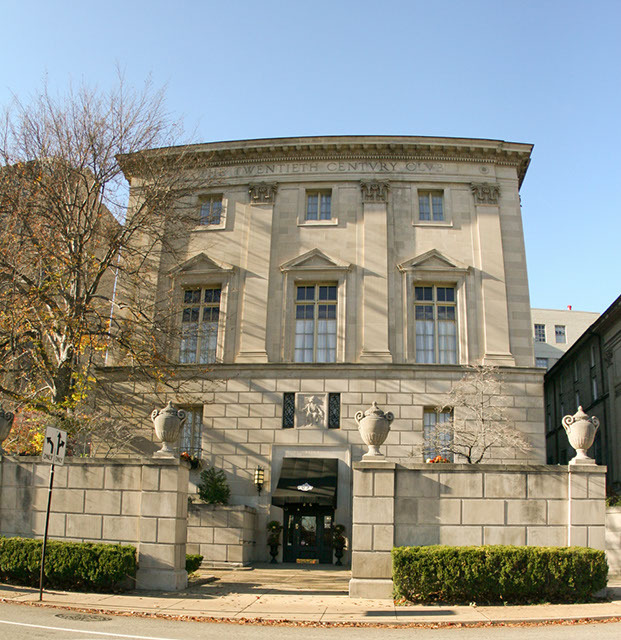 The Twentieth Century Club has been a grand presence in Pittsburgh since 1920 and today continues to be a Pittsburgh treasure while promoting inclusion of all people. We look forward to this new relationship and the opportunities that lie ahead. Four years ago, OMA Center for Mind, Body & Spirit became a presence in the community with the start of our Lecture Series. The very supportive relationship we have had with La Dorita in Sharpsburg enabled us to achieve our initial endeavor and for that we are enormously grateful! It is now our pleasure to share with you that La Dorita is expanding into their next venture, La Dorita Cooks. We wish them great success as they continue to carry on their mission to uplift the community. As they expand, so do we. Our Fall Lecture Series resumes on Thursday, September 21st with Sheryl Blumenthal. We look forward to sharing our new space with you!